What’s the Difference Between Performance vs. Utility? When searching for a new or pre-owned vehicle, there are many factors to consider like performance vs. utility. Your drive around Hobbs NM deserves compelling features that enhance your commute. Explore the difference between performance vs. utility to narrow down your search and help you find the best vehicle for your needs. Innovative Technology: Having the latest technologies like Android Auto™ and Apple CarPlay™ bring fun and accessibility to your ride. Also, safety features like collision warnings add the peace of mind attribute most drivers are looking for. Powerful engine characteristics: The ideal torque and horsepower is important to consider when choosing a vehicle that’s capable of handling tough conditions and a for a heavy-duty workload. Off-road capabilities: If it’s important to you that you can take your next vehicle off the beaten path, you’ll need a vehicle with such capabilities, such as a Jeep Wrangler. Cabin space: Do you need a vehicle with space for your all of your passengers as well as your belongings? Vehicles like the Dodge Durango offer three row of seating for up to seven passengers, as well as 84.5 cubic feet of cargo space to make toting all you’ll need on a long trip simple. Performance vehicles often focus on the amount of horsepower, which focuses on the acceleration and speed of a vehicle. The higher the horsepower, the quicker it will go. Horsepower is used as an indicator to set one vehicle apart from another. Some may also consider torque as a top performing indicator, which provides the measure of what a vehicle can take in weight while controlling the vehicle’s force in general. However, torque is more of an indication of utility. Vehicles with large hauling capabilities like the 12,750-pound towing capacity of the RAM 1500 offer impressive torque as well. Fuel efficiency: If you’re a road warrior, having a vehicle that won’t guzzle fuel is key. Interior comfort: Larger cabins with plenty of space offer the ability to drive longer without feeling cramped or crowded on the way to your your destination. All-wheel drive: Handling difficult weather or off-road journeys is done with ease when a vehicle has AWD. Streamlined accessories: Winch and grill kits for certain styles of vehicles add improved function for drivers that need their vehicle to be multifaceted. 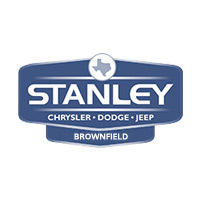 Many of the vehicles at Stanley Chrysler Dodge Jeep Ram Brownfield come packed with amazing features that highlight both performance and utility. Look through our inventory to find the vehicle you’ll want to step into today. When you’re ready, our staff will assist you with the new vehicle buying process. 0 comment(s) so far on What’s the Difference Between Performance vs. Utility?